Towering 19,341 feet above the Serengeti, Mount Kilimanjaro is the tallest free-standing mountain in the world and the highest peak in Africa. The first ascent was made by German mountaineer Hans Meyer in 1889, when the mountain was part of German East Africa, and has since become a major destination for outdoor enthusiasts who flock to Tanzania each year with hopes of summiting Uhuru Peak and checking off this once-in-a-lifetime achievement from their bucket list. Despite its colossal stature, Kilimanjaro’s peak can be reached by hiking one of the many official routes and does not require the use of special mountaineering equipment or supplemental oxygen. Because of its approachable characteristics and breathtaking views, it draws tens of thousands of hikers each year from around the world. There are many decisions to make when considering a trek to one of the world’s Seven Summits, and this guide will serve to answer some of the most common questions about this remarkable experience. First and foremost, please note that it is not possible to climb Kilimanjaro without a guide. This is not only a concern of safety, but also a requirement by the government of Tanzania. That being said, there are seven sanctioned routes from the base of Mount Kilimanjaro to Uhuru peak that vary in time, length, and difficulty. 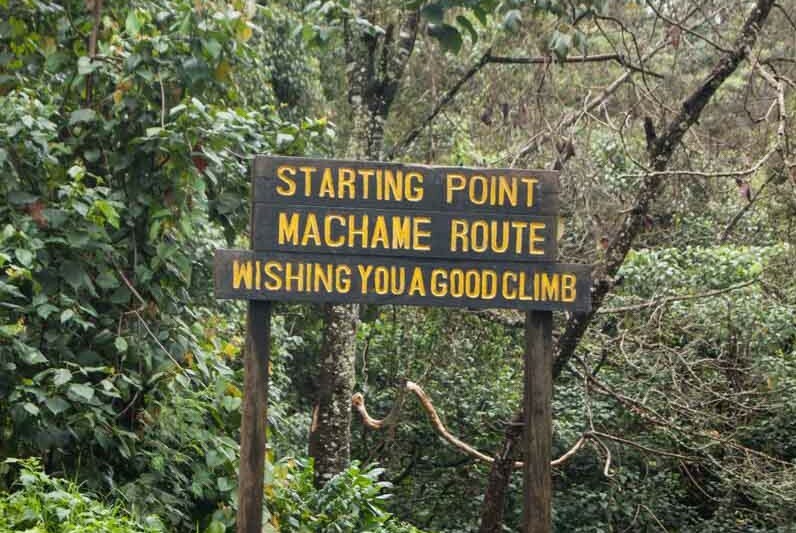 A majority of climbs take place on either the easier Marangu (the “Coca-Cola route”) or Machame (the “Whiskey route”). 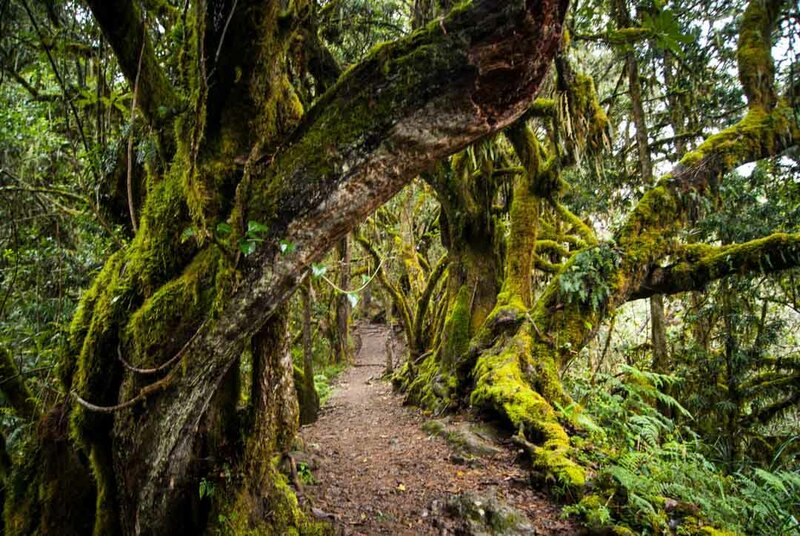 Marangu is commonly considered to be the easier of the two and attracts more hikers, whereas Machame is known for its picturesque vistas but more difficult terrain. The average trip length to the summit of Kilimanjaro is six to eight days, depending on the route and how many acclimatization days are included in the schedule. Typical itineraries for these popular routes are shown below. (Itineraries via). 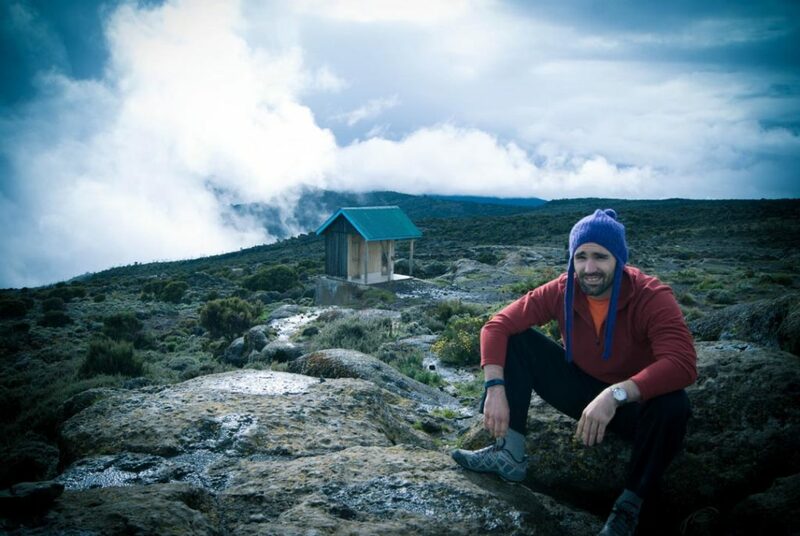 Day Five: Barafu camp (4,550 m) – Uhuru Peak (5895 m) – Mweka (3,100 m). Hiking time: Eight hours to reach Uhuru Peak: Seven to eight hours to descend to Mweka (frequently broken into two days with an overnight stay at Mweka camp). 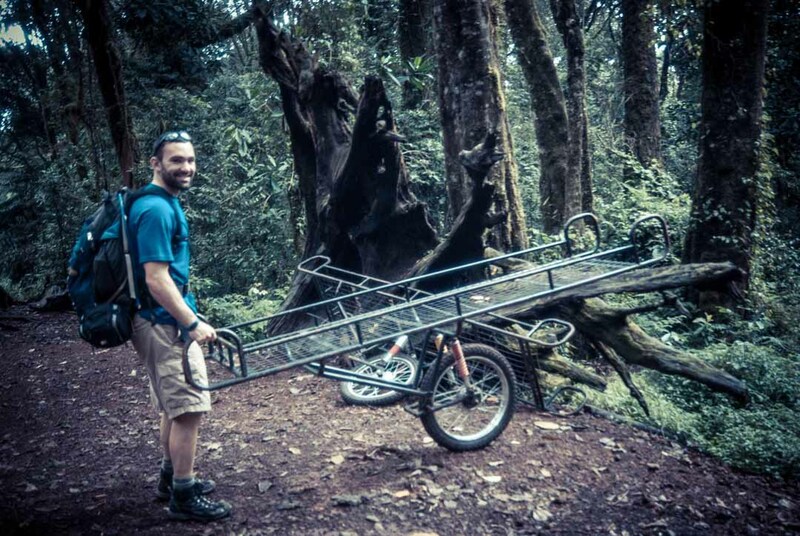 Hiking Kilimanjaro isn’t easy, but stretchers are available if you get injured on the mountain. Climbing Kilimanjaro is no easy feat, but neither does it require advanced mountaineering skills. You can walk to the summit, and the days are generally finished by 4 p.m. so there is plenty of time to recover. What’s more, you will have porters as part of your guide team that will tote a majority of your supplies so you are only responsible for carrying a daypack. The difficulty comes into play once you get into higher elevation, where the air is thinner and walking is much more taxing. The guides will tell you to take it “polay, polay” (“slowly, slowly” in Swahili) to avoid overexerting yourself and climbing too quickly. The most difficult part of the trek is the day you summit Uhuru Peak. 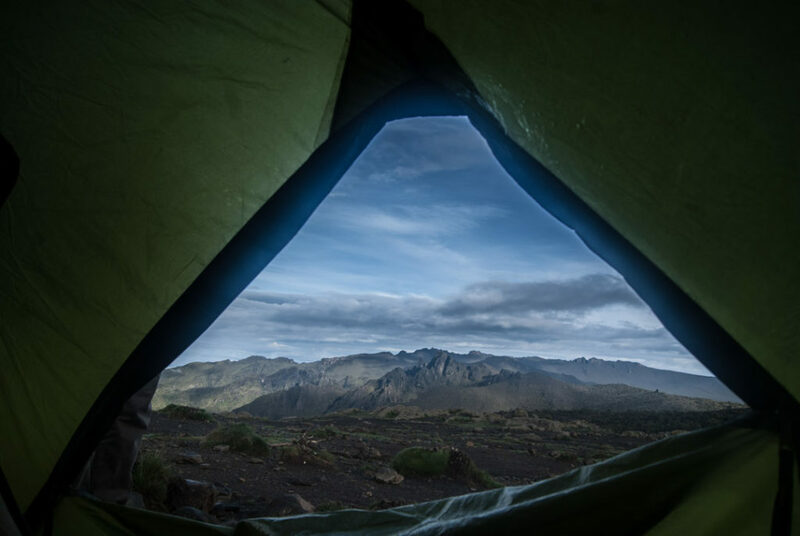 Most schedules will have you hike to Barafu camp in the morning and rest for the entire afternoon, only to begin hiking again at midnight with hopes of reaching the summit for sunrise. Our support crew. It takes many people to execute a successful summit of Kilimanjaro. 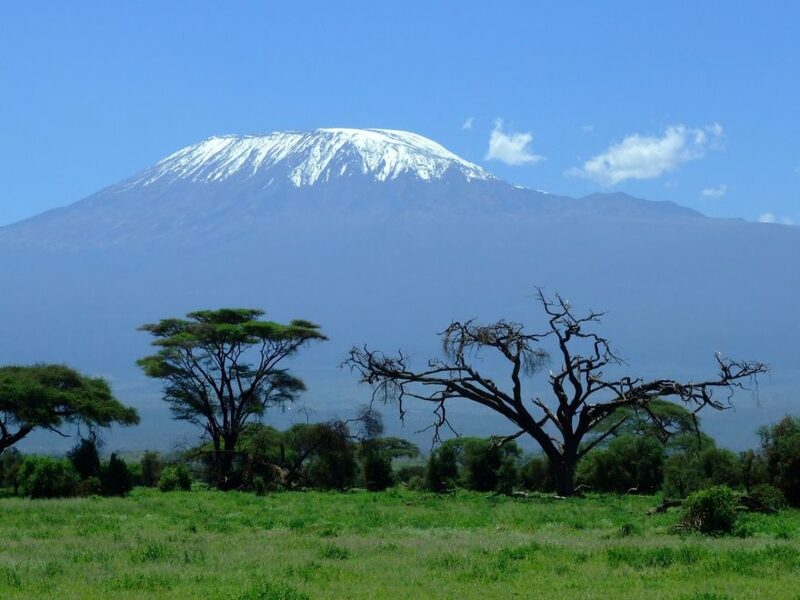 Experiencing Mount Kilimanjaro is not a cheap vacation. The price for a a guided trek can be anywhere from $1,200 to $4,000 USD per person depending on several factors, including the tour operator, number of days, group size, and level of comfort. If booking at the higher end of the price scale, you can expect more-experienced guides, a separate dining tent, and possibly even a portable toilet in addition to higher-quality food and equipment. If booking a budget tour, you may not only have fewer of these extra items but also are possibly undercutting your porters, as there is no standard wage for these workers, and wages are the first place tour operators look to cut costs. 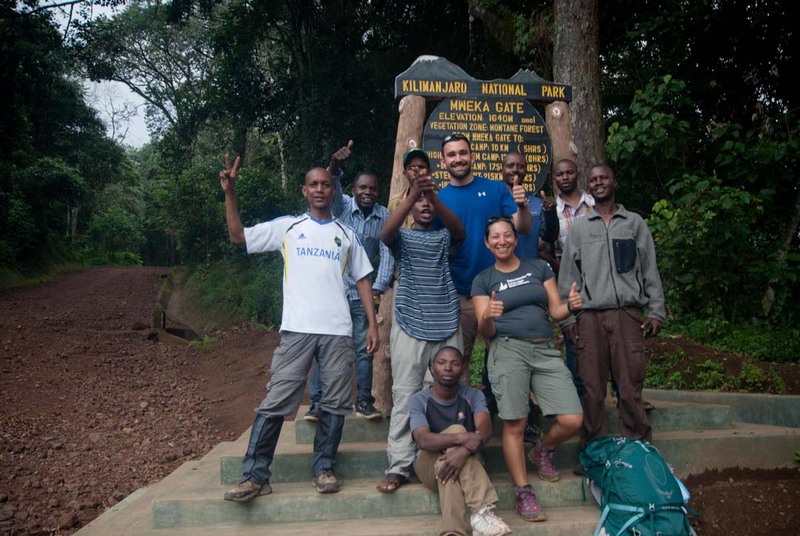 While your choice of tour company is ultimately a personal decision, consider starting your search at the Kilimanjaro Porters Assistance Project (KPAP) website, which lists all of its partner companies that have agreed to offer fair wages to their employees and abide by ethical tourism principles. Another popular and easy-to-use site for route information and responsible tour booking is FairVoyage.com, an organization that works not only with KPAP but also with other nonprofits in Tanzania to support fair-trade tourism practices. In addition to the cost of the tour, you will also be responsible for tipping your crew at the conclusion of your trek. This is not only expected but the guides, cooks, and porters rely heavily on this source of income, as their wages are generally quite low. Again, the amount depends on how many people supported your group during the trip and its duration but be prepared to tip at least $250 per hiker. FairVoyage has a a handy calculator that can assist in determining a fair amount to give based on a number of factors. If you plan to tack on a safari to the Serengeti and/or Ngorongoro Crater, which is highly recommended, you should expect to pay more for that as well. This will add at least five days to your trip but will offer some spectacular wild-game views and access to the world’s largest inactive volcanic caldera. Finally, you’ll also have to account for the cost of your flights and any additional gear or equipment you need for the hike itself. Really starting to feel the elevation. Altitude sickness is caused by exposure to decreased oxygen levels due to rapid elevation gain and generally occurs at elevation levels of 8,000 feet and above. In its mildest form, known as acute mountain sickness (AMS), you may feel effects of dizziness, nausea, and headaches (similar to a nasty hangover). If not treated, AMS can progress into high altitude pulmonary edema (HAPE) or high altitude cerebral edema (HACE) which can cause permanent damage to your brain and lungs or, if untreated, death. Altitude sickness affects everyone differently, but it’s a very real threat on Kilimanjaro and should not be taken lightly. The key to managing altitude sickness is slow ascension. By taking the time to properly acclimate to increasing elevations, you allow your body to adjust to the reduced amount of available oxygen and decrease the risk of experiencing severe symptoms. Tour operators are well aware of altitude sickness and generally build acclimatization into the schedule via the “hike high, sleep low” method of gradual exposure. Because of the extra time it takes for adjustment, treks of five days or less are generally not advised unless you have significant experience at high altitudes. Many climbers also utilize acetazolamide, also known as Diamox, to treat the effects of altitude sickness. It can be purchased inexpensively over-the-counter and taken before the symptoms occur as a way to lessen the impact. Many tour guides also offer ginger tea to help settle the stomach and reduce nausea, especially on summit day when you reach peak elevation. While these options may help to decrease the effect of altitude sickness, they are not intended to be a substitute for proper acclimatization. Although no special technical gear is needed to summit Kilimanjaro, you will need to plan for a variety of temperatures and weather conditions. At the base of the mountain the weather is tropical and humid, but it gets colder and more exposed the higher you travel and you’re likely to encounter subfreezing temperatures and perhaps snow near the peak. Plan to dress in layers and be sure not to overpack, as porters can carry a maximum of 15 kg (33 pounds) each and if your group has too much stuff you may need to hire extra personnel. Here is a good example of a packing list that covers the essentials. 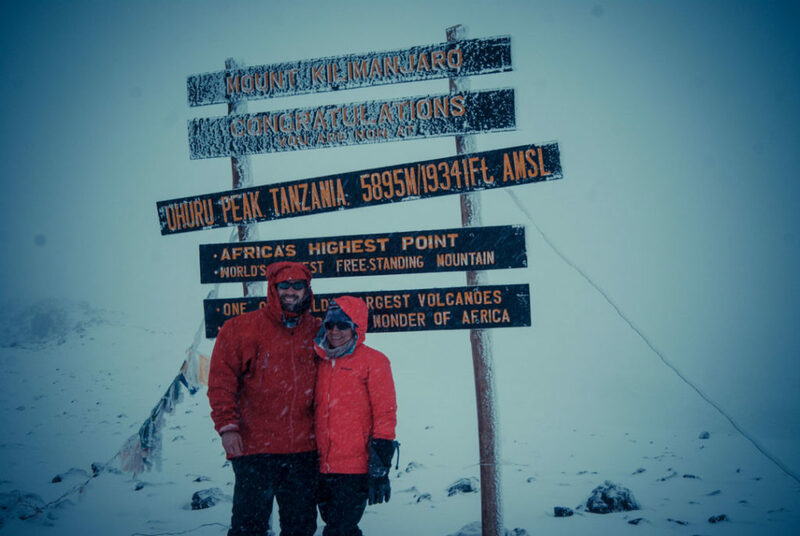 Kilimanjaro can be hiked year-round, but certain times of the year have better weather than others. June through October is the busiest time but also the warmest and least rainy. November through March are cold and encountering snow is highly likely. April through June is the rainy season and least crowded time to hike. There are several logistical matters to consider when booking a trip to Tanzania. First, you must decide when you’ll go and find a tour that meets your needs in terms of length, price, and extra activities. 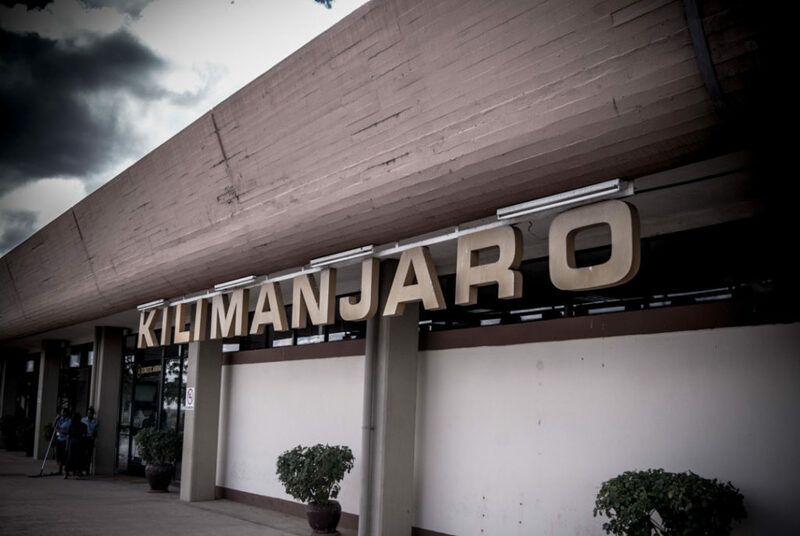 Then, coordinate your arrival with the tour company and book your flight to Kilimanjaro Airport (JRO). When you land in Tanzania, you’ll need to get a tourist visa. For U.S. citizens, these can be obtained on-arrival at the airport and the price is $100, which must be paid in cash (USD). The visa is valid for 90 days, which is more than enough time to complete your trek and/or safari. Tanzania also has strict rules about yellow fever vaccinations. If flying directly from the United States it won’t be a problem, but if you’re coming from a country where yellow fever is prominent you’ll need to show proof of vaccination before they let you in the country. Also note that malaria is present in Tanzania and you should consider taking antimalarial medication before departing for your trip. Tour operators usually meet customers at the airport and assist with visas to ensure everything goes smoothly. Once it’s settled, they’ll transport you to your hotel in Arusha or Moshi to spend the night before starting your trek the next day. Likewise, the tour operator should provide transportation back to the airport on your day of departure. As previously mentioned, you will have a large support group on the mountains. Generally, there will be one guide, five porters, one cook, and one assistant guide per two hikers. For four hikers those numbers would double, for six they would triple, and so on. The porters are there to carry equipment, food, water, and other essentials as well as a majority of your belongings. You will only need to hike with a small pack that has water, snacks, and whatever items you need that day (such as rain gear). The porters will set up and tear down camp, cook and serve food, and tote water from the nearest source. Climbing Mount Kilimanjaro is a unique and unbelievable journey. Although relatively short in duration, it will take you to the tallest peak in Africa and offer exposure to high-altitude hiking with the support of a knowledgeable and talented team at a relatively low level of risk. If you’ve ever wanted to experience the culture and beauty of Africa in an unforgettable way, start researching and saving today – you won’t regret it.